Economic Financial Literacy (Financial Literacy, FL for short) and wealth management are core basic skills key to improve personal financial well-being and achieve a more active citizenship. Mastering these set of skills may be crucial for low-income groups, helping them to achieve a better standard of living and avoid crossing the poverty line (or). The importance of financial education programs, in particular those targeted to low-income groups is widely recognized by Governments and international organization. The project “Financial Literacy: a Key Tool to Improve People’s Life Cycle” (FinKit) aims at improving FL by developing specific tools, targeted to older people, to increase the capacity of practitioners, such as trainers/coaches/volunteers, program developers, policy makers, local development agencies, financial players to successfully transfer EFL knowledge to individuals at risk. 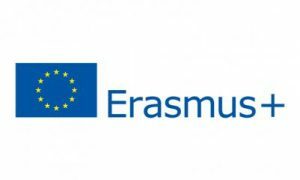 FinKit, funded by the European Union through the Erasmus + program, started in November 2015 and lasted three years. The study was carried out by a network of European institutions including: CeRP-Collegio Carlo Alberto (leading institution); the Observatoire de l'Epargne Européenne (France), the Spanish Confederation of Education Centres, the Polytechnic Institute of Setúbal (Portugal); the Ufficio Pio of the Compagnia di San Paolo (Italy). The tools developed by the Finkit research team - booklets, videos, app - are to be used as a support for social operators to approach and successfully transfer FL knowledge to individuals at risk with the purpose of helping older people to deal with some of the risks that can be associated to their age: financial fragility, risk of being the victim of frauds or manipulations. The booklets are meant to be employed in financial education programmes as well as in informal training sessions. Through Finkit we hope to support the development of economic-financial education as an essential element of citizenship. Indeed, it is important that operators assisting older people can implement measures to actively involve the beneficiaries of the programs, so as to promote their social inclusion making them more aware of the best practices for better wealth management.